CHARLESTON, WV (HNN) - Editor's Note: This roundup of lensing activity in the Mountain State is provided by the West Virginia Film Office. Congratulations to The Walkabout Company in Wheeling for recently receiving five awards for excellence in their work. The Videographer Awards is an international competition that recognizes outstanding achievement in video productions. Walkabout's recognized productions included "Create Wheeling" (produced for the 2010 Create WV Conference), the Wheeling Artisan Center, two commercials for the Wheeling Convention & Visitors Bureau, and a promotional video for St. Vincent DePaul Parish School titled “The Case of the Anxious Mother”. Winners in this prestigious competition range from network news operations to local cable access, from large production companies to freelancers, from international advertising agencies to student producers. The Videographer Awards is administered and judged by the Association of Marketing and Communication Professionals. For more info about Walkabout, visit http://www.gowalkabout.com. "Doughboy," a family-friendly film that pays tribute to America's men and women in service, opens Friday, Aug. 19, at Marquee Cinemas in Wheeling (Triadelphia), Charleston, Huntington, and Beckley. The film shot exclusively on location in Wheeling earlier this year and is directed by J.W. Myers and written by Ty DeMartino. 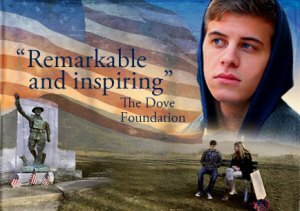 It explores the issues of freedom and patriotism and how they are perceived by today's young people. Flyover Films and Route 40 Films produced "Doughboy" and was executive produced by Wheeling's Kristin Seibert. It stars newcomers Barrett Carnahan, Emily Capehart and Michael Allen and features veteran film and TV actor Terry Kiser ("Weekend at Bernie's"). For complete details and to watch a couple teaser trailers, visit http://doughboythemovie.com. Bridgeport native Kash Kiefer is one of the cast members on CMT's Sweet Home Alabama series, which airs on Thursdays @ 9:00pm EST. Kiefer attended WVU for a couple of years and was a member of the 2006 Nokia Sugar Bowl team. The show's premise is ten "city slickers" and 10 "country" guys compete for the affections of Devin Grissom, a sweet Southern girl from Alabama, by completing challenges to win time with her. Kiefer is listed as one of the "country guys." For more information about the show, including a bio of Kiefer, visit http://www.cmt.com/show/sweet_home_alabama/series.jhtml. Memphis-based production company Paper Moon Films is planning to film in Charleston on July 22 for its latest feature film "Pilgrim Song," about a laid-off teacher who sets off to hike Kentucky's Sheltowee Trace Trail on a soul-searching mission. The producers are searching for "picture cars" to appear in the film and are in need of the following: 1980s/90s spacious camper (needed July 21-24); older Astro Van, prefer blue with decals or decorative stripes (needed July 25); yellow Dastun, prefer yellow, beige or other light color (needed July 22, 24-25, 27); and a T-Top, preferably a muscle car (needed July 24). To submit your vehicles for consideration, please contact Cherie Saulter at cherie.saulter@gmail.com or 850-527-0823. 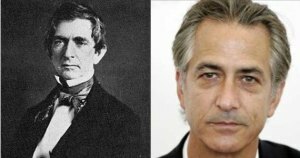 David Strathaim, otherwise known for his role of MU President Donald Deadman in "We Are Marshall" has joined the cast of "Lincoln." The production company filming Steven Spielberg's "Lincoln" is holding an extras casting call for men ages 20 and over on Friday, July 22 from 10am to 5pm at the Greater Richmond Convention Center, 403 North Third Street, Level One, Room E11C, Richmond, Virginia. The casting department is particularly seeking men with long hair AND beards. You must bring a recent photo with you. If you can't make this July date, there will be additional casting calls in August, which will also include women and children. For more information, visit www.film.virginia.org. David ("We Are Marshall") Strathairn will star as William Seward, President Lincoln’s Secretary of State. He played President Donald Deadman in "We Are Marshall." Daniel Day Lewis has been cast for the lead in the new Spielberg production which has captured early acting awards buzz. The Travel Channel recently returned to the Trans-Allegheny Lunatic Asylum in Weston to film an episode for its series "Paranormal Challenge." Hosted by Ghost Adventures' lead investigator, Zak Bagans, Two teams compete against each other during an overnight lockdown in the legendary location to see who can collect the most paranormal evidence. The evidence is then presented to a panel of three paranormal experts. The episode will air on July 29 at 9:00pm EST. For more info, visit http://www.travelchannel.com. The West Virginia Filmmakers Festival will continue to receive entries for its fall festival through August 15. 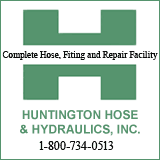 A discount is available for entries postmarked by August 1. Members of the WV Filmmakers Guild are eligible for additional discounts. Student filmmakers are also encouraged to apply. Cash prizes will be awarded in the categories of Narrative Feature, Narrative Short, Documentary Feature, Documentary Short, Student Film, Out-of-Towners, and Experimental-Music Video-Animation. All accepted films will also be eligible for Audience and Best Film awards. The festival will take place Sept. 28 – Oct. 2 at the Landmark Studio for the Arts and the Elk Theater in Sutton. For entry guidelines and forms, visit http://wvfilmmakers.wordpress.com. Questions may be directed to Patrick Felton at filmmakersfest@gmail.com or 304-741-2518. There is much to be said about the rapidly changing world of film distribution and the Lone Star International Film Festival will join the conversation during its November 2011 annual festival. Program details, partners, and participants will be announced at a later date. Entries are now being accepted in the following categories: Documentary Feature, Documentary Short, Narrative Feature, Narrative Short, Animation Feature, and Animation Short. For general info and complete entry details, visit http://lonestarfilmsociety.com. Make a video for Heelys for your chance at $18,500. Heelys has the mantra — Fun, Freedom and Fearless — and is looking for energetic and engaging videos that show Heelys in action. The videos should be 30 seconds long and speak to the core demographic of 5 to 14 year olds. Videos must be submitted by August 15. For complete details, visit http://www.poptent.net/assignment/302.